Are you having ham for a holiday dinner? If so you better not throw out that ham bone! You will be missing out on one of the best, easiest dinners EVER. 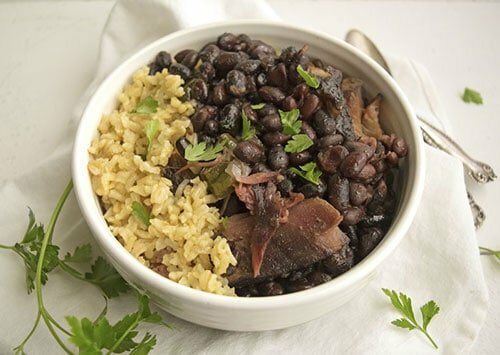 These Crockpot Cuban Black Beans are an amazing healthy comfort food. Oh man, these beans. When you cook them with the ham bone little pieces of ham fall off and flavor the whole dish. This is one of Nolan’s favorite meals. But what if you don’t have a ham bone? Don’t worry! Buy a ham hock, and wrap it in cheese cloth before cooking it in the Crock Pot. 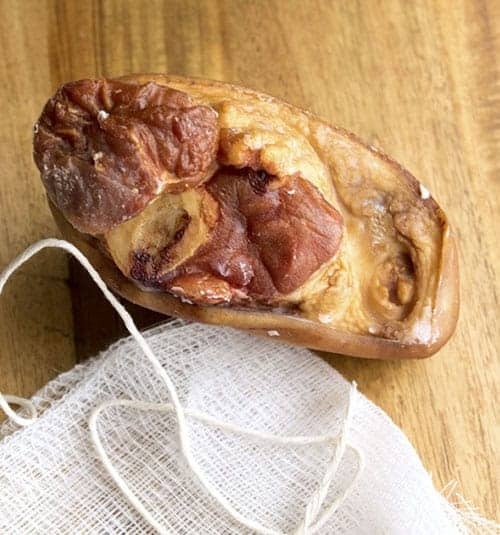 You can find ham hocks at any grocery store, and they are super cheap. The reason you want to wrap it in cheese cloth is because the bone will start disintegrating into the beans when you cook it for long hours. You don’t want to eat little pieces of bone! Not GOOD. The cheese cloth will catch those little pieces. You will need to unwrap it and take the meat off the ham hock after it’s done. Don’t miss out on flavor! I like to have my beans with my All-Purpose Brown Rice. Yum! Also, I make a killer Cheesy Jalapeno Cornbread (which I will tell you about tomorrow!). Don’t forget your Beano! Haha! 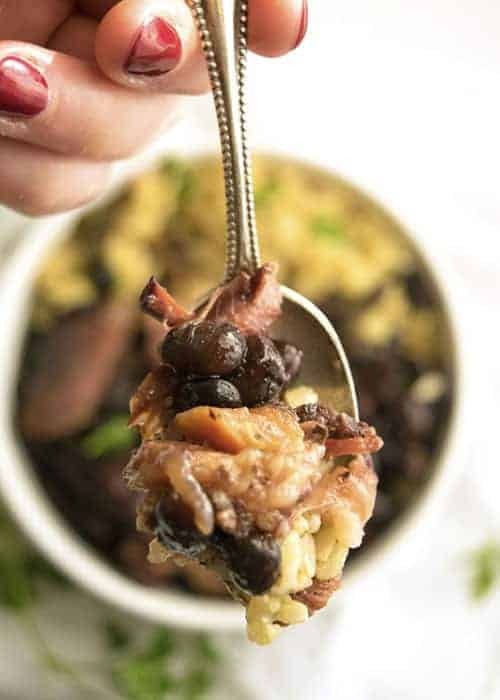 Crockpot Cuban Black Beans are perfect for that leftover ham bone you have from holiday meals. Throw everything in the Crock Pot and have an easy healthy dinner ready to go! 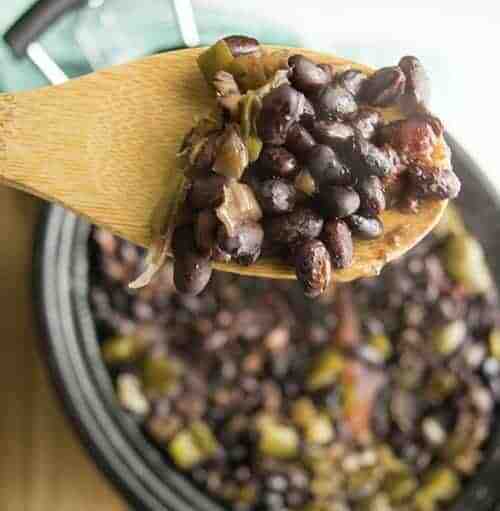 Serve these beans as is or over rice. 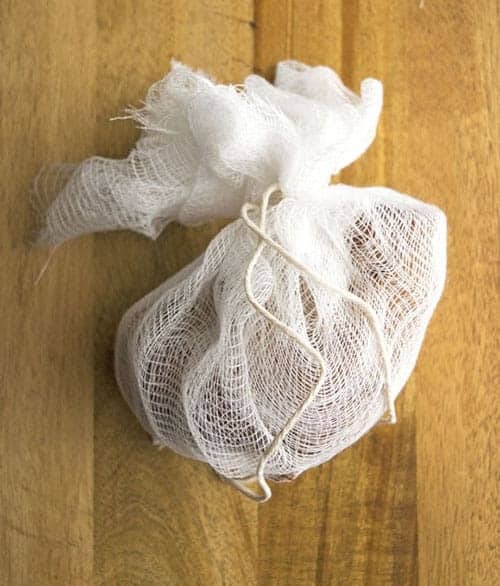 Wrap and tie the ham hock in cheese cloth and twine. This is so the hock doesn’t disintegrate into the beans (it leaves pieces of bone in the beans…gross). 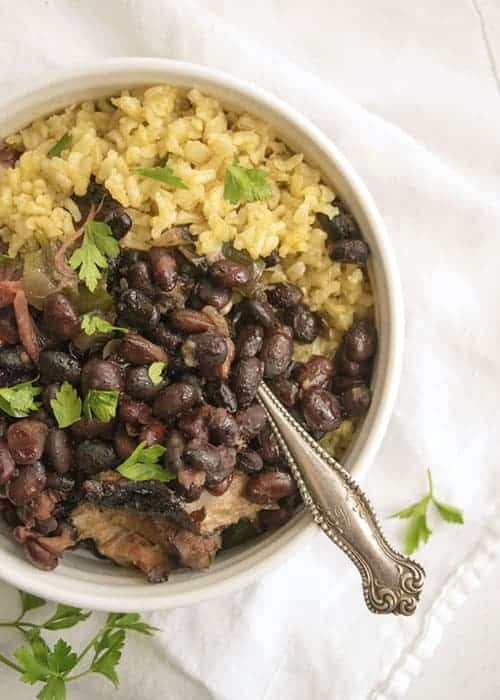 Dump all of the ingredients into a Crockpot (6-8 quart). Make sure the water covering everything so the beans do not dry out. Cook on high heat for 8 hours. Unwrap the ham hock, and add any meat from the hock back into the beans. That’s the good stuff! Do I soak the beans first or put them in dry? I want to make this Sat 7.1.17, I have one 1 lb bag of black beans and want to add a lb of red potatoes. 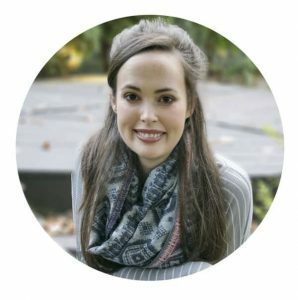 What changes should I make? Hi Victoria. Sorry for the delayed response! I have never tried this recipe with potatoes, so I can’t really tell you any modifications. I don’t really know what this combination would be like. If you make it, let me know how it turns out! 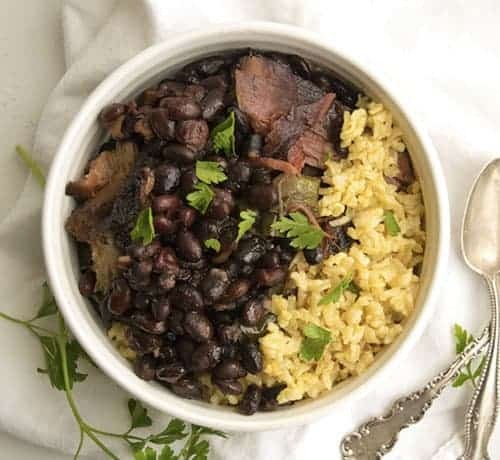 Hi, I just want to tell you that these are the best black beans that I have ever made. I froze half of them since we are a small household and they still taste fab reheated. Thank you soooo much! They are definitely a winner in my house. I eat them alone or with a big wedge of cornbread!